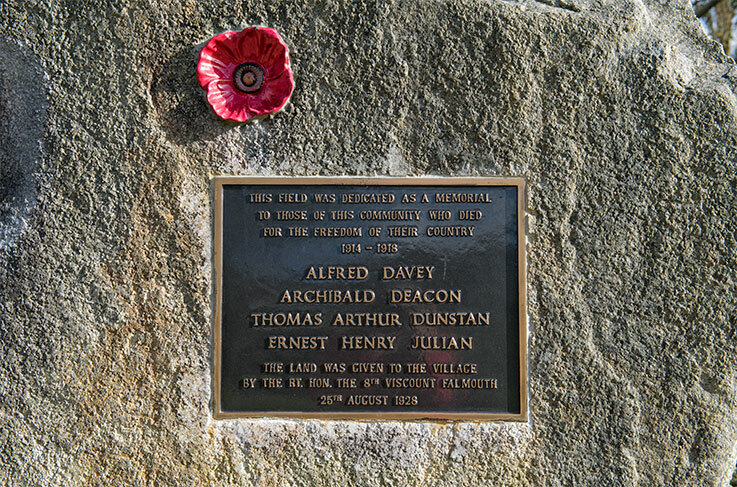 As part of a public consultation requirement, a public event is to be held at Tresillian Village Hall, Fairfax Road, Tresillian, Truro, Cornwall, TR2 4AZ from 10.00am until 8.00pm on November 25 2017. The purpose of which is to keep residents of the parish informed about progress to date regarding the local area Neighbourhood Plan. 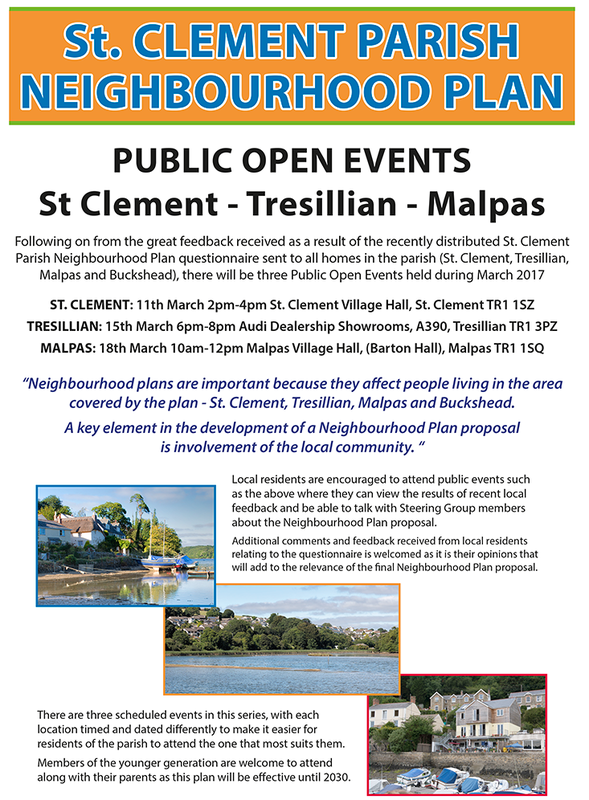 All local residents are welcome to attend, and St Clement Parish Neighbourhood Plan Steering Group staff will be on hand to answer questions about the plan. The Tresillian Singers and Guest Artist will be holding a Christmas Concert on Tuesday the 5th December 2017 at the Tresillian Village Hall, the proceeds in aid of the Village Hall Funds. Price at the door £5 To include Mince Pies and Mulled Wine. 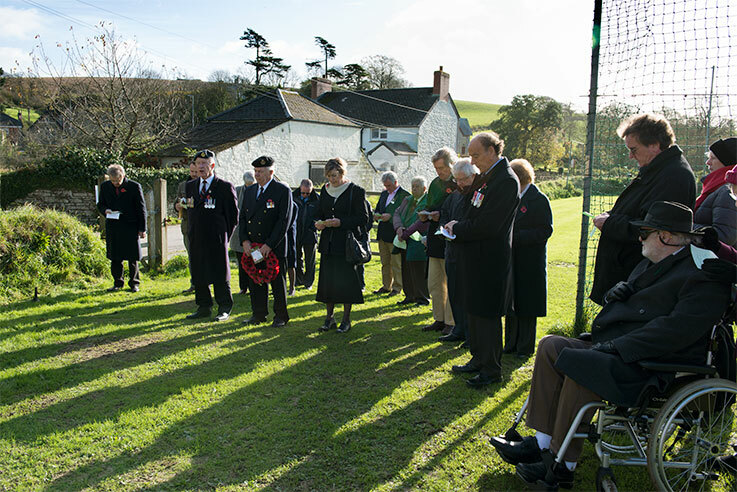 Getting on for 40 people turned out on Remembrance Sunday, 12th November to attend a ceremony of remembrance in Tresillian Village’s Playing Field by the war memorial stone. The Revd. 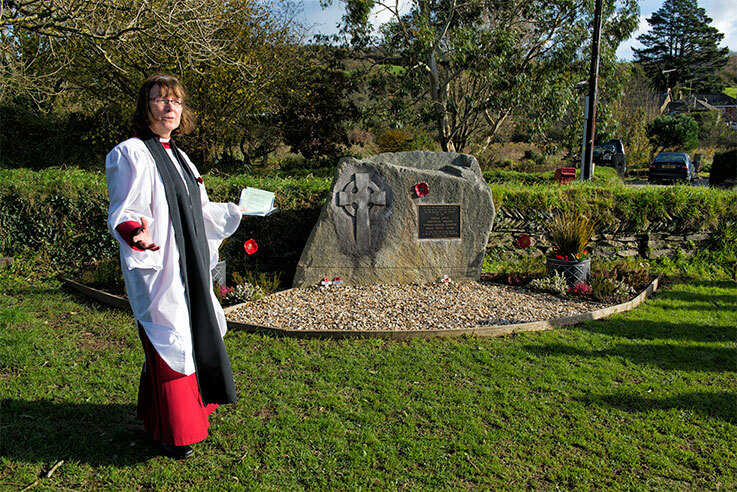 Canon Lynda Barley led the ceremony with prayers. 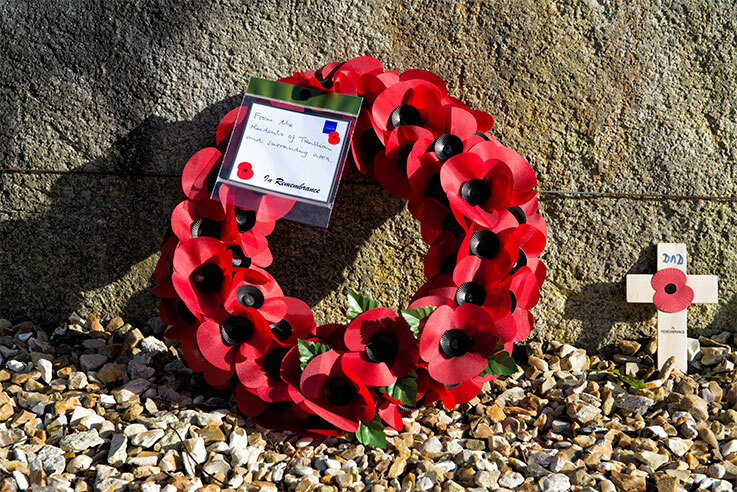 Dan Beacham sounded ‘Last Post’, followed by two minutes silence, after which Bob spoke the words “When you go home, tell them of us and say, for their tomorrow we gave our today” Dan then sounded Reveille (Rouse). 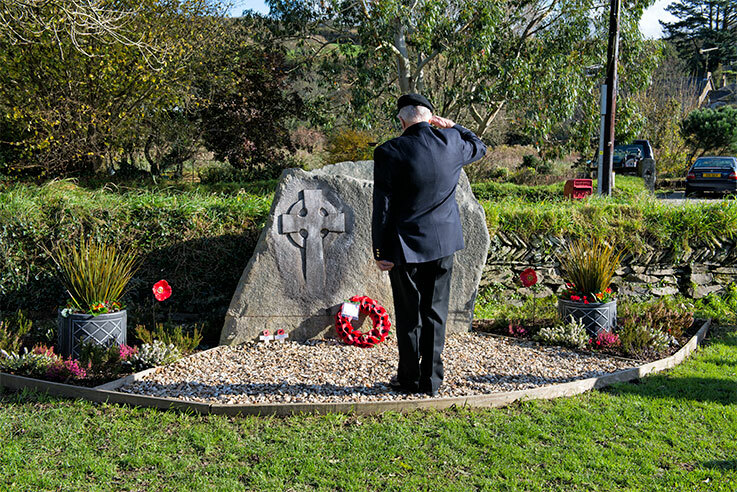 John Dobel then laid the Poppy Wreath against the memorial stone. Join Andrew Nicholson for an informal and informative walk along the Tresillian River. Enjoy good views of a variety of waders and wildfowl, hopefully including a Kingfisher. Please book on 07939 984 298 Donations for Compassion. The path is flat, but can be muddy in places, so bring suitable footwear, and binoculars if you have them (few spare pairs available), and don’t forget your camera (a telephoto lens is an advantage, but hey the views are also worth a photo or two). Afterwards, join us for a cream tea/cakes at Tresillian Methodist Chapel, from 4.00 pm. ALL WELCOME, beginners and veterans alike! Sorry, but no dogs please as they scare the birds! I counted 532 geese flying up-stream on Friday morning between about 8.15 and 8.35. 531 Canada geese and one white one which seems to have joined the flock. As you well know, it’s an amazing sight to see them morning and evening, and sometimes in between, flying along the river and we feel greatly privileged to have so many of these fine creatures with us for the winter months. Similarly the black-headed gulls, although far less remarkable are still a notable sight, with some 200 or more roosting at the southern end of the village. We have had one bird re-visiting for the past 3 years, though sadly he died this past week – recognisable because the two sections of his beak didn’t quite meet at the end; he visited every morning from July through the winter till they depart for Denmark or other nesting grounds.We called this particular bird ‘Squawky’ because of the noise he made when settled on our deck! Like any creature which makes a regular appearance we will miss him now he has passed away – it was very sad seeing him floating downstream a week ago with his life ebbing away, but nothing we could do to change the course of nature. 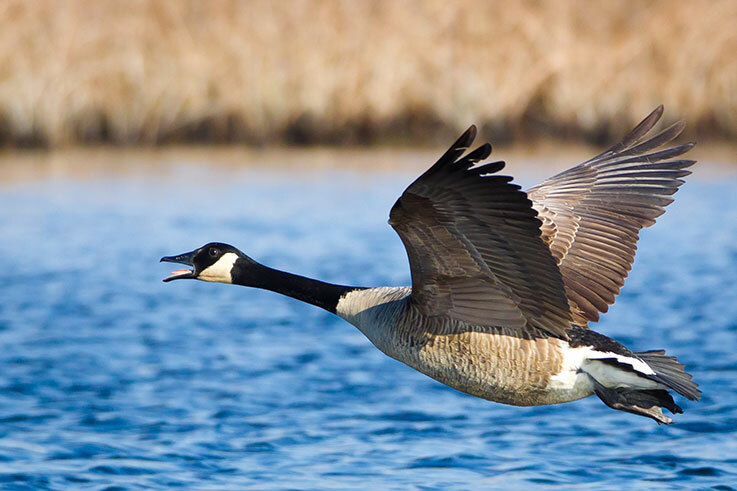 Meanwhile we do have this wonderful spectacle of the geese each day for which we must be thankful! 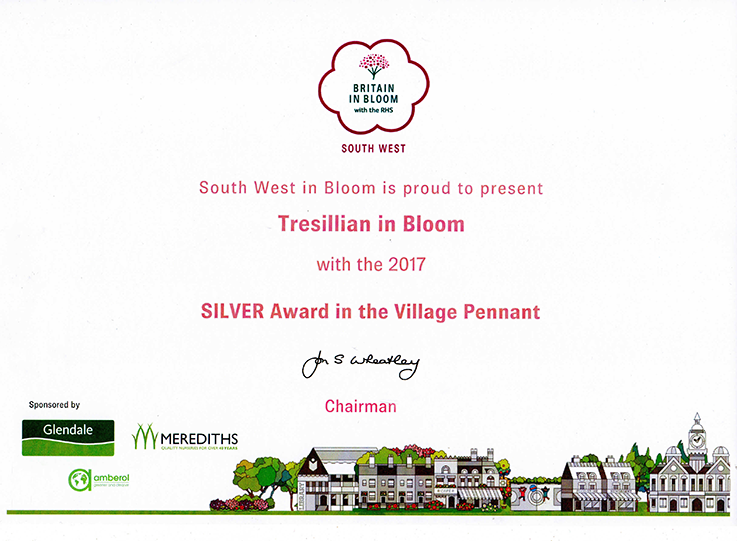 The Tresillian Village Improvement Group (TVIG) is pleased to announce that it has recently been awarded ‘Silver Pennant’ by South West in Bloom with the Royal Horticultural Society in the 2017 Main Competition’s ‘Village Pennant’ class. Last year the TVIG entered ‘Britain in Bloom’ at the basic ‘It’s Your Neighbourhood’ level, where an award of Outstanding was given. Given the higher standard expected at the Village Pennant class, the Silver award is a very good start and it is hoped to improve upon this next year. Although judging is dependent on adhering to a strict set of criteria, the judges offer much good advice in their summing up to encourage entrants to build on their achievements, so as to climb to higher levels. 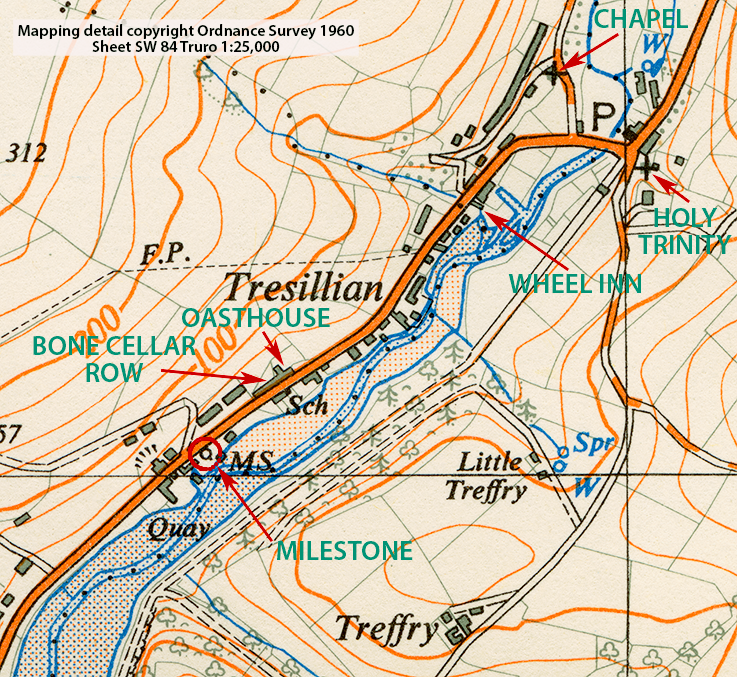 “Tresillian is a very elongated village situated on the busy A390 just 3 miles from the City of Truro. It has a fantastic array of wildlife as a river winds itself through the picturesque village. Mentoring is also something that is made available, particularly to new entrants, and the TVIG would like to give thanks to experienced Britain in Bloom judge Peter Kessell, of Truro City Council Parks department for his time in giving post-award guidance to assist the group in its preparations for next year’s competition. The Tresillian Village Improvement Group would also like to thank the many volunteers that turn out to help and support the various schemes and events that led to this award being given. There are several ideas under discussion for next year’s village improvement projects. As a result, the TVIG would very much like to hear from individuals and businesses who are able to offer a little of their time or financial support to help keep our village environment looking clean, tidy and attractive for us all to enjoy. Contact details for the TVIG can be found on this link. 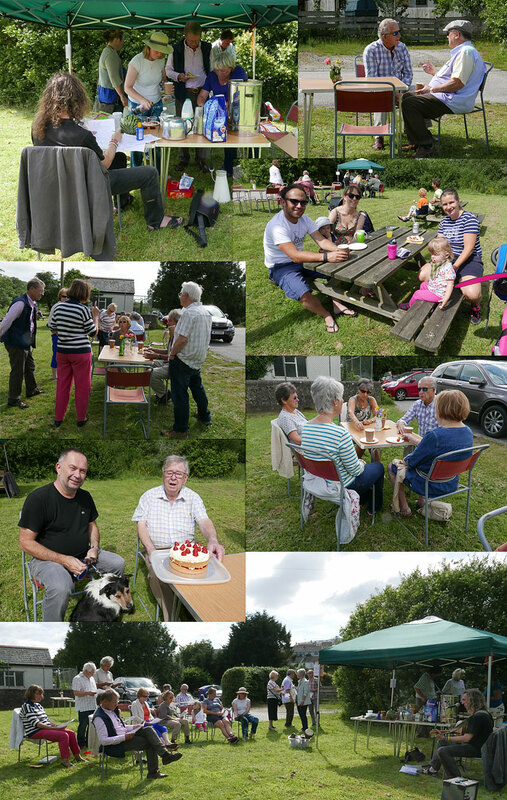 A cream Tea event was held on the lawn that stretches down to the Tresillian River behind the Wheel Inn at 3pm. 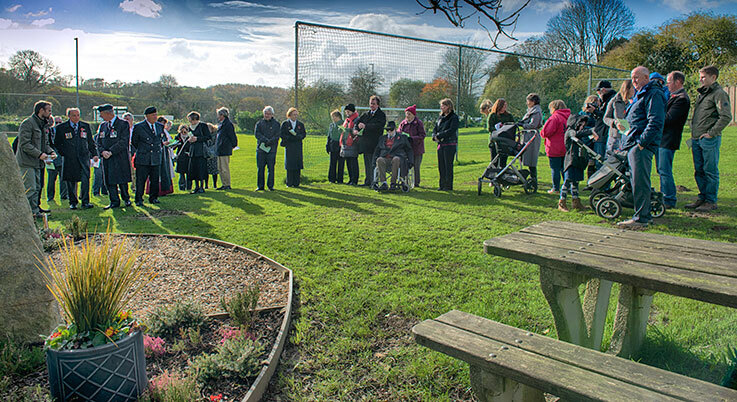 An associated Treasure Hunt took place earlier in the day at 1.30pm. A delicious cake was donated as a prize and the winner was George Doherty, of Higher Polsue Way, Tresillian (seen in the photos below with the cake in front of him). A group of volunteers met at the village playing field on Saturday 11 March for our annual litter pick from one end of the village to the other and this year we collected 9 sacks of rubbish which, although it is a lot, has reduced in quantity each year we’ve been doing this, so that can be seen as a positive. We then all finished up at the Chapel for very welcome refreshments. 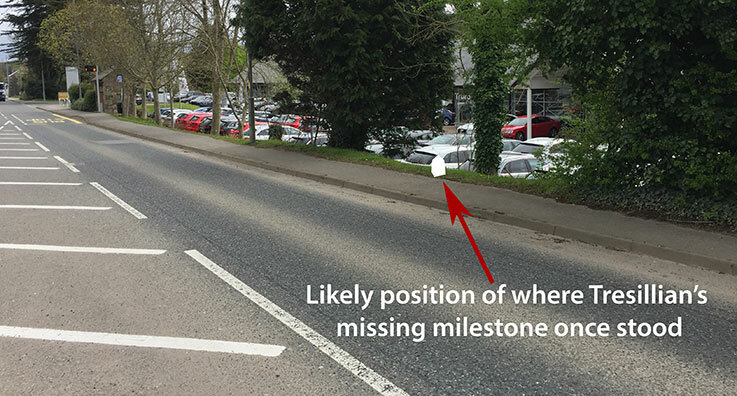 An enquiry has been received from a village resident, Frances Deacon regarding the disappearance of a Post Office post box from its usual location at River View. This was an obvious job for our village website’s super-sleuth to investigate. 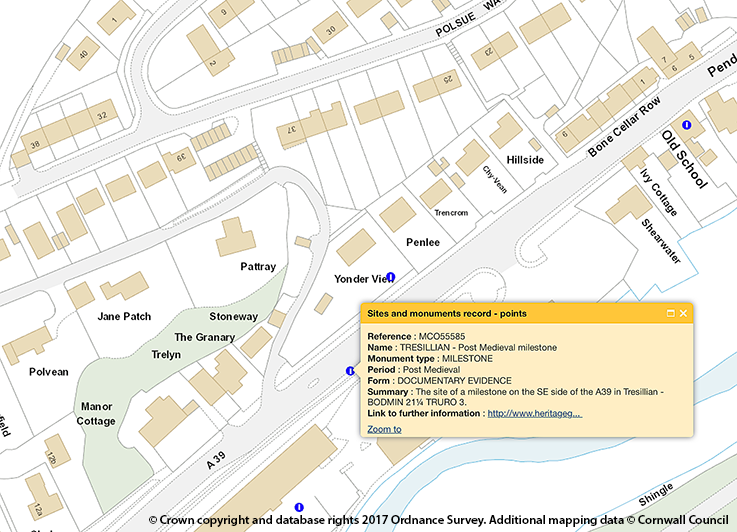 When mentioning its disappearance to Claire at the recently relocated post office inside the Texaco petrol station, she said that she did not know about it but that she was expecting a visit from a Post Office official later that day, and would get back if there was more information available. After speaking with him about the missing post box she was able to pass on the following explanation. Apparently, this post box had been subject to ‘storm damage’ which resulted in its content of mail being damaged. The Post Office subsequently taped up the post box along with a notice to say that it was out of use. 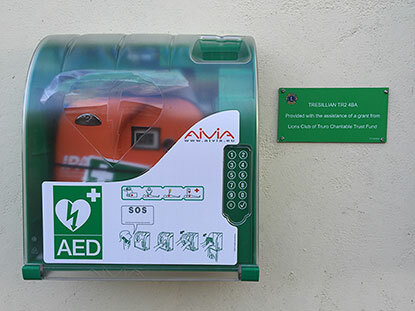 However, according to the Post Office official, a person or persons unknown allegedly removed the tape and notice and as a result use of the post box by local residents resumed. Because of the storm damage and alleged interference the Post Office has removed the post box and so far as anyone knows there is no decision yet as to whether the post box will be reinstated or not. 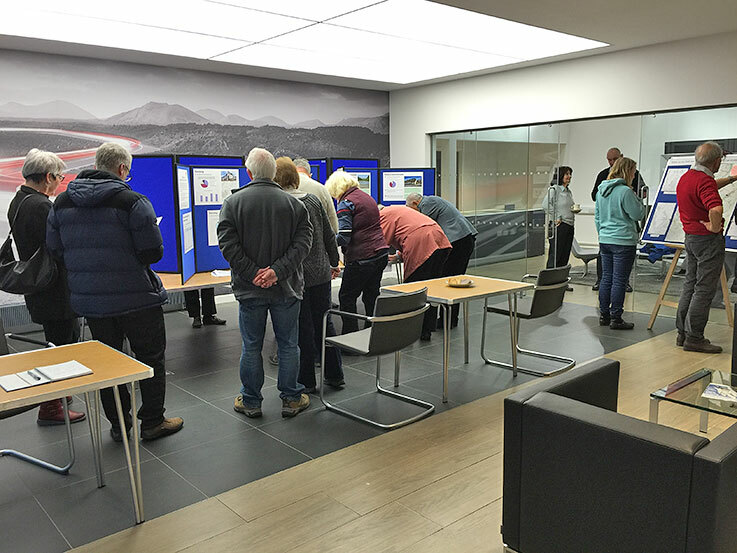 A highly successful turnout of local residents attended the Tresillian Open Public Event organised by the St Clement Parish Neighbourhood Plan Steering Group held at Truro Audi’s Tresillian premises. 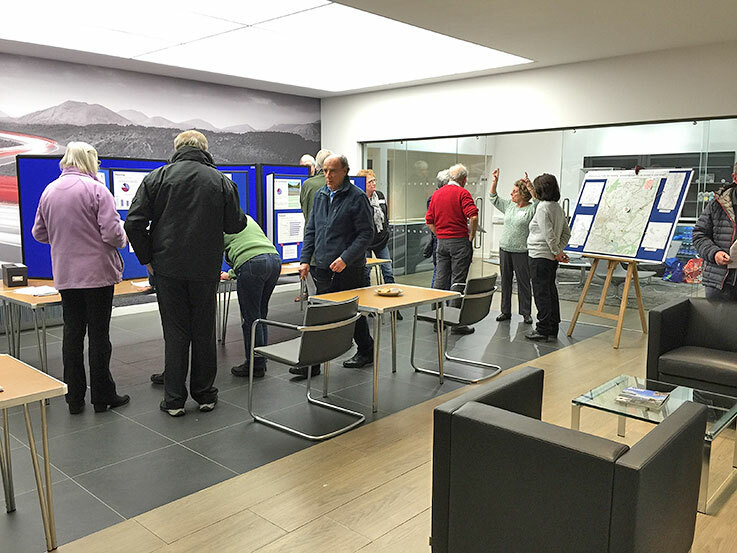 The event, part of a series of three (see earlier news alert item further down this page), had on display in graphic form results of the Neighbourhood Plan questionnaire distributed last autumn to all households in the parish of St Clement. 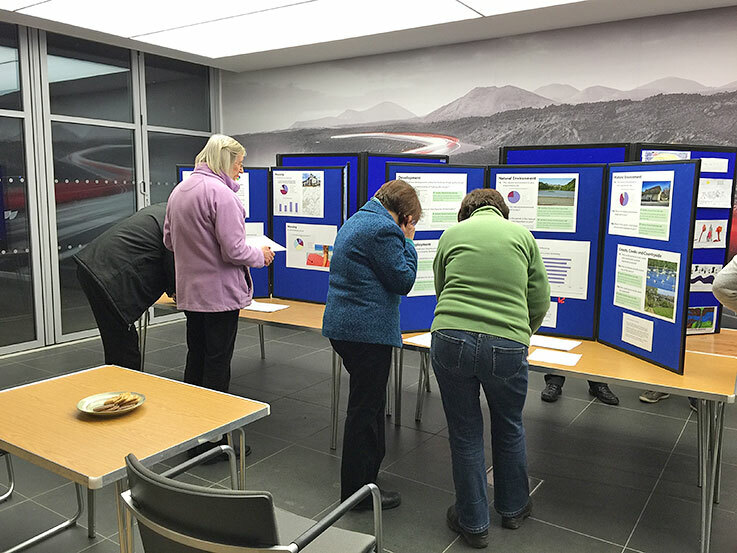 Several Steering Group members were on hand during the evening to answer questions, and supplementary mini-questionnaires were handed out for visitors to fill in relating to a number of original questions that were considered worthy of further comments. The Neighbourhood Plan project is on track to fulfil its obligations regarding gathering local opinion within the parish. As part of this ongoing process visitors were asked if they wished to play an active part by offering voluntary help with the next phase to build a picture of the character of each area and the parish as a whole under the title of Landscape Character Assessment. Training is required and will be made available to candidate volunteers. 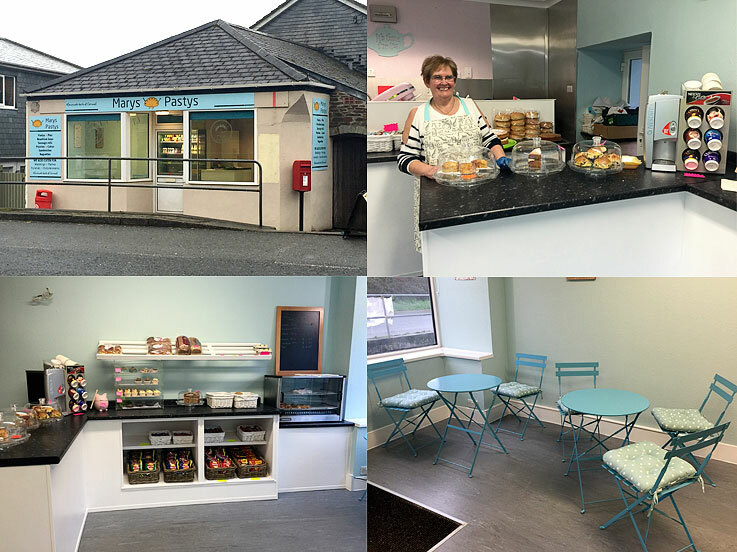 Mary of ‘Marys Pastys’ has taken over the old Tresillian village shop premises and opened a café/shop. Mary’s husband sadly passed away a couple of years ago and she says that not only was this a truly awful time for her, but that it also affected her enthusiasm for her pasty business venture. However, with renewed enthusiasm and great support from her family she has now taken the bold step of entering the world of retail as an additional element to her regular wholesale pasty sales. As the photos above show, there is a variety of foods and drinks for sale and consumption inside the shop. Hot pasties (obviously), along with a variety of cakes, snacks and hot and cold drinks. Mary says that more foods will become available if the demand is there. Since the closure of the garden centre café there has not been a tea/coffee shop open in the village to sit and chat over a cuppa and cake. On Tuesday 21 February, Alison and Simon hosted a quiz night at the Wheel Inn in aid of Tresillian Village Improvement Group’s planting funds. This was very well attended, with the first prize being Sunday lunch at the Wheel for two couples, kindly donated by Alison and Simon. We also held a raffle with lots of prizes and raised enough money to pay for the boat to be planted by Truro City Council Parks Department this summer. The whole evening was great fun and our thanks to Alison and Simon for their kindness in hosting this event and to Alison for preparing the questions and acting as quizmaster. We certainly had a good laugh as well as our brains being challenged. Tuesday, 7th February was a very sad day for the Village, when the Tresillian Stores village shop closed its door for the very last time. This was due entirely to the business no longer being a viable commercial going concern since Post Office Limited made a decision to move Post Office Counter Services to the nearby Texaco petrol station shop. Judith and Brian Smitham had been running and investing in their Tresillian Stores business for over year, including Post Office services. Prior to that a Post Office has been operational for many years from the same premises. Judith and Brian received a huge amount of support from the local community when Post Office Limited controversially announced that they wanted to relocate the village Post Office. Local residents held a meeting at Tresillian village hall where a vote was taken resulting in unanimous support for keeping the status quo. Support also came when local Member of Parliament, Sarah Newton; local Cornwall Councillor, Mike Eathorne-Gibbons and local St Clement Parish Council Chairman, Peter Thomas all took part in a further public meeting, this time held at Tresillian Stores, that also included Post Office Head of Relations, Mr Stuart Taylor representing Post Office Limited. 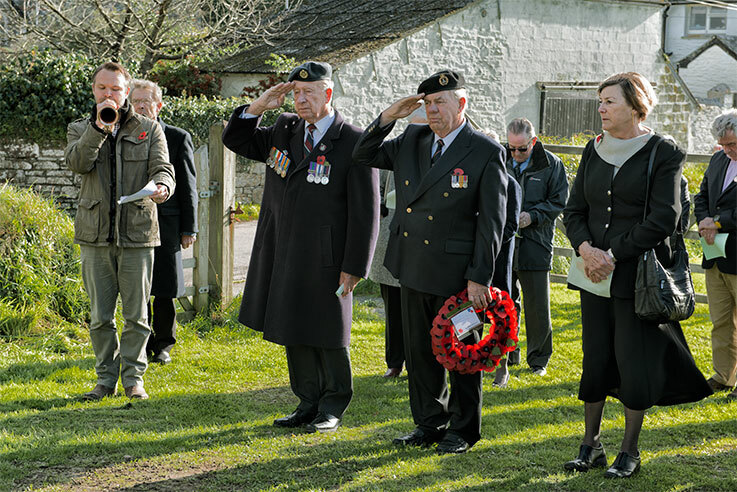 However, despite substantial support from village residents in favour of leaving the Post Office services where they were at Tresillian Sores the Post Office’s decision was final, insisting that the Post Office had to be moved to a new premises. The relocated Post Office Counter Services opened on Thursday, 9th February at the Texaco Garage. Post Office Counter Services are published as being available from 6am until 10pm every weekday, and also on Saturdays and Sundays. It is expected that Mary of the famous ‘Mary’s Pasties’ will re-open the shop very soon, selling her Cornish pasties and other hot snacks, plus milk, cream and possibly newspapers as well.